This year, we will be ensuring that there is a match preview in place for each game written by our new reporter ‘The big match pundit’. We are also working with other Premier Fan websites to get them to answer some questions ahead of the games we have. Keep an eye out on the articles page for new match previews! Our first preview covers our first game in Europe for over 20 years as Malmo come to the Liberty Stadium! Fasten your seat belt, put your crash helmet on and prepare for another annual rollercoaster ride that has become synonymous with our beloved club. Let’s face it, you couldn’t have scripted the last few years, but this coming season looks like it has the hallmarks of another cracker. First competitive fixture of the season and what a way to start, a Europa League qualifier at the Liberty against Swedish stalwarts Malmo. So what do we know? 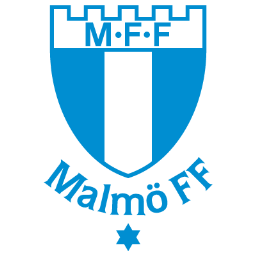 Formed in 1910 and playing in blue and white stripes, Malmo are the most successful team in Swedish footballing history and are no strangers to European football, having graced the UEFA Champions League on 13 occasions and the UEFA Europa League a further 13 times. European Cup finalists in 1979, when they lost to Brian Clough’s Nottingham Forest, Roy Hodgson, the current England Manager coached them in the 1980’s. Malmo are currently half way through their domestic season and battling at the top of the league with the likes of Helsingborgs and IFK Copenhagen. It’s fair to say then, Malmo are no mugs! Coached by Rikard Norling, they like to pass the ball. Players to watch include strikers Thomas Rantie and Magnus Eriksson, plus skipper Jiloan Hamad, a current Swedish international who will try to get forward. Joining Hamad in midfield are likely to be two more internationals, Markus Halsti (Finland) and Simon Thern (Sweden). In goal is yet another Swedish international Johan Dahlin, who by all accounts is both strong in the air and has decent reflexes. A number of the current Malmo side are tipped to move onto bigger European clubs at the end of the season, in particular young centre half Pontus Jansen who is rumoured to be heading to Parma in Italy’s Seria A. As for the mighty Swans, we’ve recruited well over the summer and had some cracking results in pre-season, albeit against variable opposition. We now have a striker in “Big Willy” Bony who should grab us some goals and the likes of Jonjo Shelvey and Jose Canas really impressed in the warm up games. The latter, alongside some of the other established Spanish lads like Pablo Hernandez should be a real asset in Europe. Predicting the starting 11 is interesting. Mr Laudrup will need to pick a strong side to give us a good chance of progressing to the group stages of the Europa League. However, he will also no doubt be mindful of our opening Premier League fixtures against Man Utd and Spurs. Based on the team for the final friendly at Reading last Saturday, it looks like the line-up could be as follows. Vorm, Rangel, Williams, Amat (assuming Chico is not yet 100%) and Davies at the back. with Hernandez and Routledge out wide and Bony up front. With a glut of quality summer signings, centre midfield is where the selection headache will come (and not just on Thursday). Britton, Shelvey and Michu could well get the nod this time round though expect changes for the second leg, where the more defensive Canas should prove his worth. It is reassuring to know that the bench will be strong this year, with riches such as Tremmel, De Guzman, Canas, Ki, Pozuelo, Dyer, Lamah, Taylor, Monk and Donnelly all no doubt keen to get involved. Here’s to an opening day victory and an extended European campaign!